The ultimate sleeping choice has never been better for a comfortable and a good night’s sleep, with our carefully selected range of mattresses & complete sets, from budget range to economy mattress, orthopaedic to memory foam mattress, Pocket Sprung Deluxe to Divan mattress, soft to firm mattresses. Whatever the body feel relaxed with, we got it all. And it comes at a very low cost so don’t dream it sleep it. It is important to choose the correct mattress. And a right Mattress means you sleep right and wake up right to start your day. We understand that when it comes to choosing a mattress it gets confusing with so many same choices so therefore we have selected a limited in all ranges but the very best from Memory foam to just foam, pocket sprung to bonnell spring, pillow top to foam top and soft to very firm. For more advice on mattress contact us and we will be happy to help you to the right mattress. An excellent orthopaedic mattress, which is firm to provide support, yet does not sacrifice comfort and provides a restful night’s sleep. 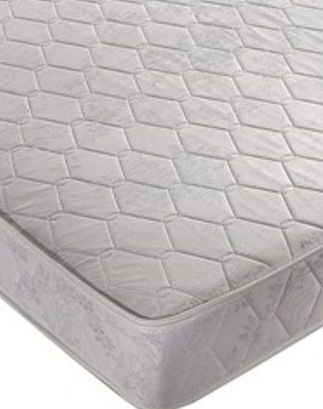 Manufactured with a 12.5 gauge ortho quality open-coil spring unit and upholstered with luxurious layers of fillings and finished with a superior quality damask fabric. Super-Firm Support. 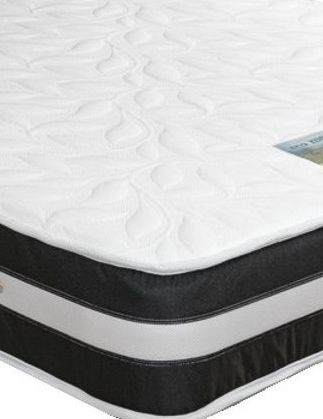 This is a very popular Ambers bed, memory foam dual side mattress on a traditional 12.5g ortho spring unit. 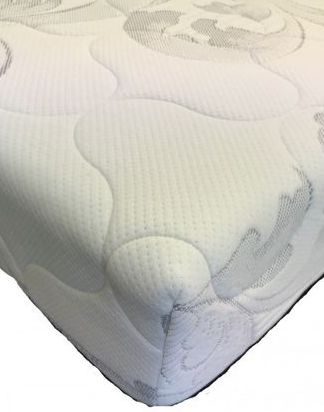 Dual sided mattress designed with memory foam on the winter side for warm winter nights and white polyester fibre filling on the summer side for those cool summer nights. An orthopaedic divan which features a 12.5 gauge heat tempered orthopaedic bonnell spring unit with a heavy gauge 6mm rod edge support. The mattress is covered in heavy Belgian Damask fabric that is deep quilted with layers of generous fire retardant upholstery. Brass ventilators ensuring good air circulation and flag stitched handles are fitted as standard. This is one of our best selling mattresses. Traditional ortho bonnel spring system. Dedicated hand tufted mattress with a deep ‘box pillow top’ of memory foam designed to provide ultimate comfort and support. As you lie on the memory foam, it responds to your body temperature and moulds itself to your contours. It has generous layers of resilient reflex foam for additional comfort and support. Upholstered in a quality stretch damask fabric with a traditionally hand tufted finish. This is an easy care - no turn mattress. 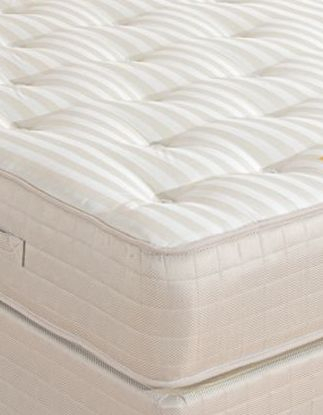 The Topaz super luxury orthopaedic mattress has been hand tufted with luxurious fillings, with extra firm bonnel springs, with rod edge and flag stitched handles and air vents. An orthopaedic mattress provides firm support, distributing the body weight to alleviate stress on the spine, relieving painful pressure points, and helping to maintain proper posture. Vigor is one of our most popular beds ever made. 1200 highly responsive pocket springs for comfort and support. 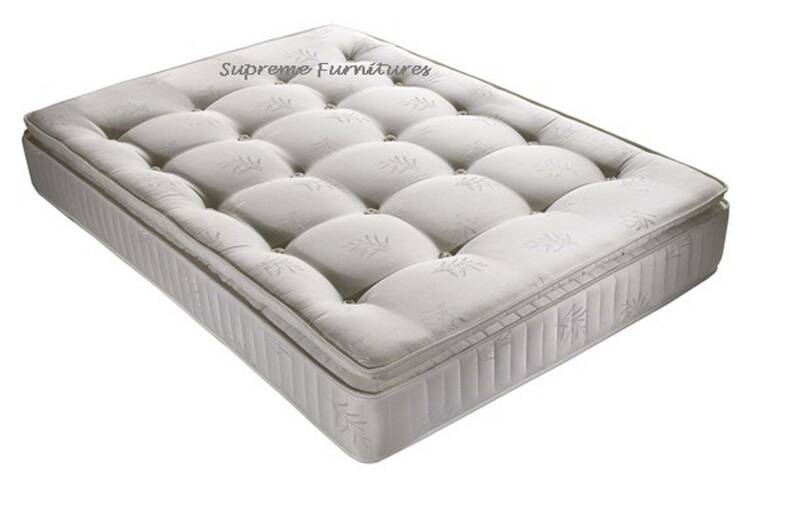 The high quality pocket springs are upholstered with finest layers of luxurious filling. The mattress is finished with a luxurious stretch Belgian fabric and high quality super soft polyester fibre, traditional hand tufted design. The luxury Deluxe orthopaedic mattress has been hand tufted with luxurious fillings, with extra firm bonnel springs, with butterfly wall support. 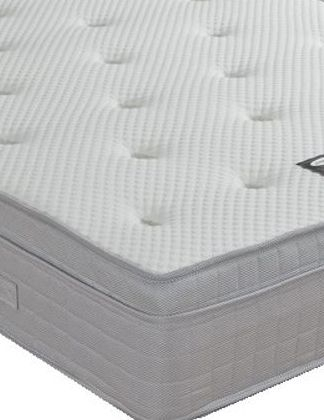 An orthopaedic mattress that provides firm support, distributing the body weight to alleviate stress on the spine, relieving painful pressure points, and helping to maintain proper posture. 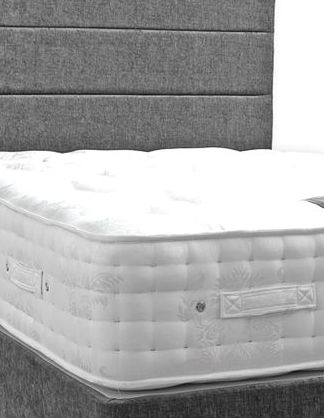 This amazing 1500 pocket sprung mattress, part of Ambers anti-allergy range combines pocket springs, with memory foam technology for a fantastic night’s sleep. 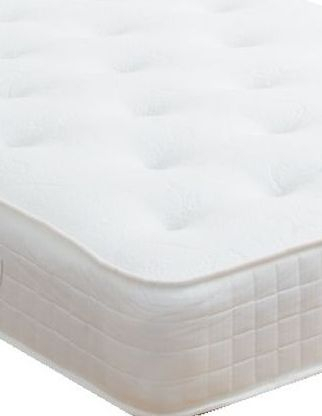 Memory foam moulds to every contour of your body giving constant support throughout your sleep. Pocket springs work with the memory foam like pistons to give amazing support while you move in your sleep. White fibre is a dust free filling that adds extra softness and resilience to the mattress. This mattress border has been designed to encourage ventilation and airflow throughout the mattress. The Bose orthopaedic mattress will bring comfort to you like never before and with the finest materials used and carefully stitched features it is one of our best mattresses produced till date. The Bose orthopaedic mattress has a state of the art design and is a part of our classic collection. 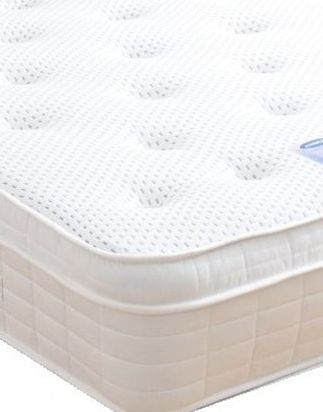 The mattress is made of very high quality spring and is perfect for back support. Bose offers extra durability and support and has consistent firm support through the whole surface of the mattress. Our Bose orthopaedic mattress contains Bonnell springs, providing you with even support over the entire sleeping area. With a layer of damask cover. Visco flex is an ideal choice to sleep in luxury and comfort. A memory foam mattress gives you support and softness at the same time. It provides the best posture for the spine as it supports where the weight is and floats where there is less weight, therefore keeping the spine in its natural position avoiding any discomfort. The sleeper wakes up in the morning without any aches and pains. 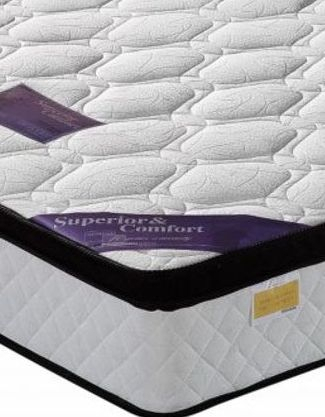 This beautiful luxurious mattress is finished in heavy duty stretch fabric quilted with extra layer of ultra spring soft felt to add comfort and soft touch. 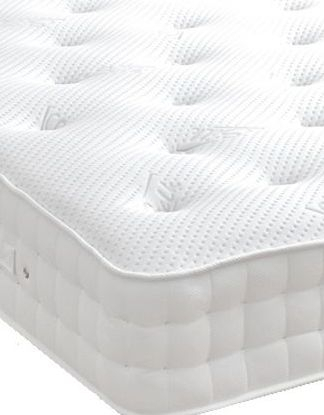 Highly responsive 2000 individually nested pocketed spring, dedicated hand tufted mattress with a deep ‘box pillow top’ of memory foam, designed to provide excellent comfort and support. 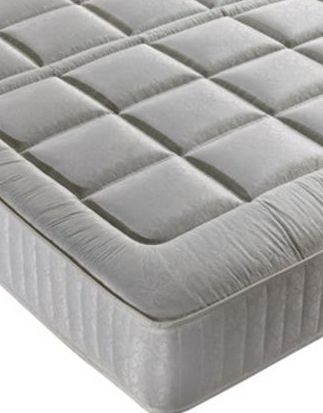 This amazing mattress combines memory foam technology and pocket spring technology for a fantastic night’s sleep. Pocket springs work with memory foam like pistons to give amazing support to you and the memory foam while you move when you sleep. Reflex foam designed to provide excellent comfort. Sumptuous Belgian soft knitted fabric. 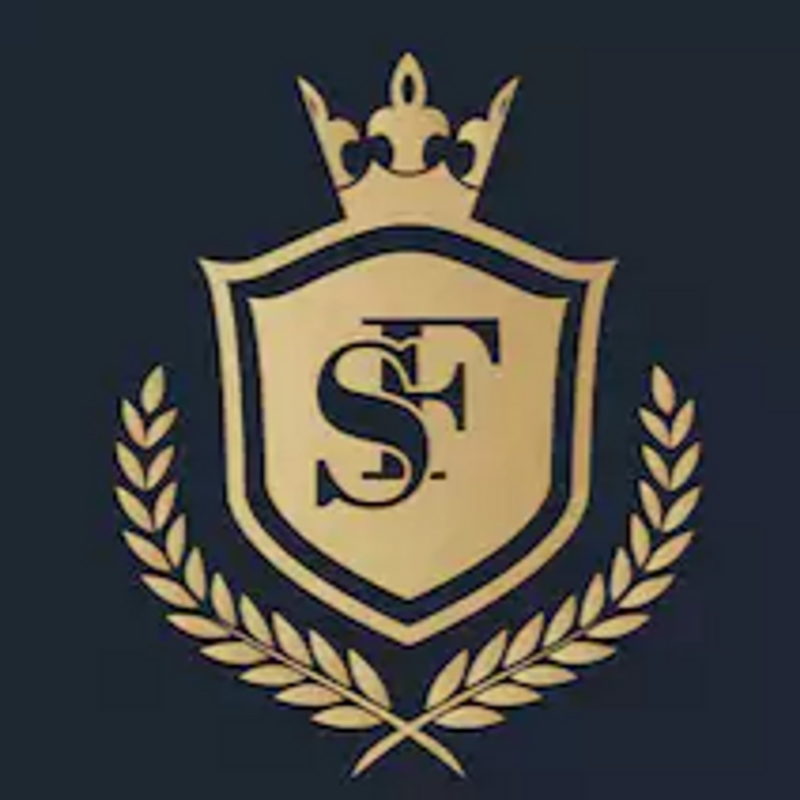 The Superior orthopedic firm mattress will assure a luxury night’s sleep to those who like a firmer sleep surface. 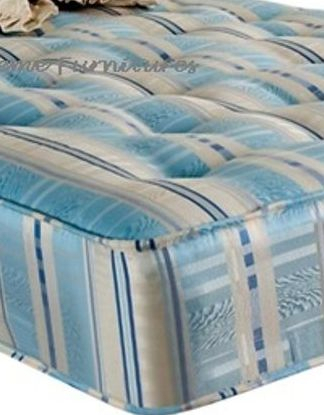 With the finest materials used and carefully stitched features it is one of our best mattresses produced till date. It contains a 2 inch pillow top to give it extra comfort like never before. The Superior orthopedic comfort mattress is expertly created and designed and is a part of our classic collection. 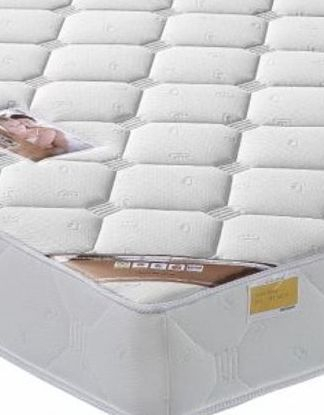 The mattress is made of very high quality spring and is perfect for all types of people. 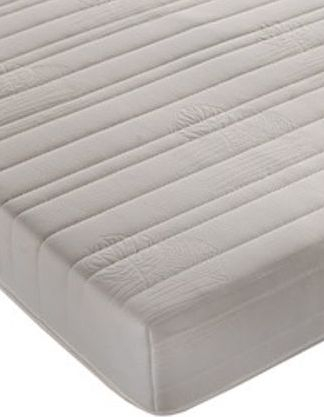 It offers extra durability and support and has consistent firm support through the whole surface of the mattress. 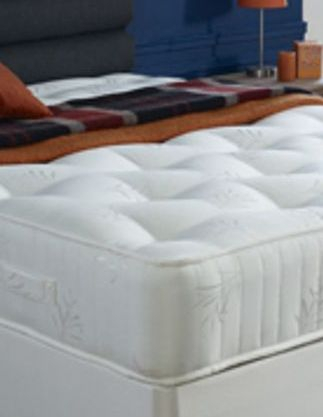 This is one of our most luxurious beds containing highly responsive 2200 pocketed springs. 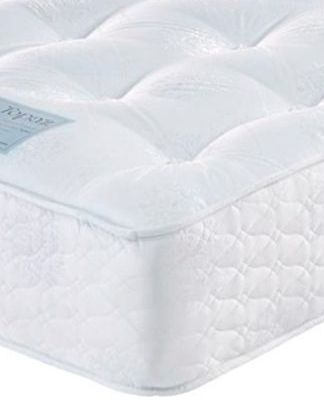 Upholstered with the finest quality fillings of pure new wool, cashmere, super soft reflex foam and multi layers of anti-allergy innovative rebound poly cotton. Only the finest quality four way stretch fabric is used in this mattress along with two rows of hand side stitching for a supportive and comfortable sleep surface. Finished with wool tufts, and ventilated to allow the mattress to stay fresh. 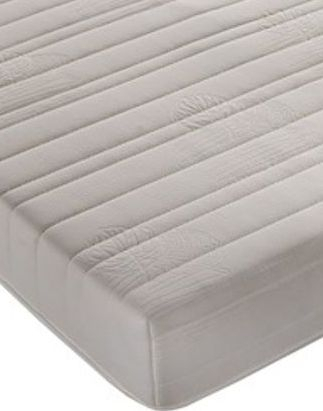 Two sided mattress with handles for easy turning and rotating the mattress regularly. 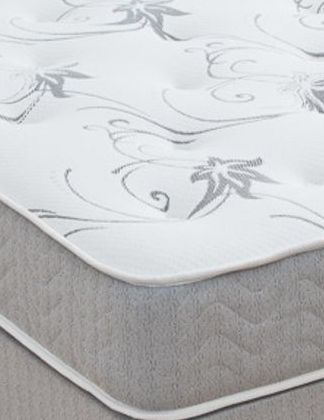 The Chicago has 3000 individually nested pocket springs in three layers offering comfort, support and pressure relief for all shapes and sizes. Key fillings: wool, cashmere and cotton. Pure new wool for comfort and to absorb moisture from the surroundings and stop fungal growth. Cashmere is fur of the Kashmir goat it is soft luxurious feel and rich lustre combine with great durability. Cotton is the most widely used natural fibre for its softness and breath ability. It also feels comfortable to keep you warm in winter & cool in summer.